At an event such as the Anti-Death Penalty Alternative Spring Break March 14-18, with many people from different places coming together for multiple days, it is very useful if the participants can quickly and easily communicate with each other, so we have decided to use the group messaging service Beluga during the Anti-Death Penalty Alternative Spring Break. 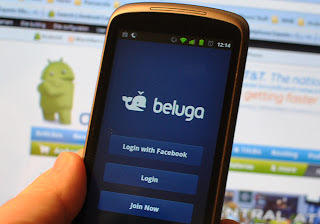 You can download the free Beluga IPhone app or download the free Beluga Android app. The service can also be used without an App on any smartphone by accessing the mobile Beluga website by using the browser, although using the App provides a better experience. Visit the Beluga website for more information. We think Beluga will be particulary useful when we are at the Texas Capitol lobbying, because we will divide into groups to lobby and people can send texts to everyone updating everyone else about what is happening when they are all spread out over the capitol lobbying. For instance, if you encounter a particularly supportive legislator you could send a text using Beluga and everyone will know immediately about your lobbying success. If you get to take a picture with a legislator, you can send the photo using Beluga to all the alternative spring breakers. Another way to use Beluga is during your time off to check in with others and see if anyone wants to meet somewhere, or communicate with roommates for any reason. 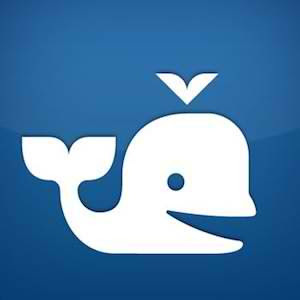 “Beluga is a simple app for communicating with multiple people at once. You create a “pod” (Beluga’s name for a group) of people and each time one of you sends a message, everyone else gets it. It’s a bunch of custom-created group chat rooms. In these “pods”, you can not only share text but also pictures and locations. And not everyone even needs to have a smartphone, as the app accounts for your feature-phoned friends by sending them SMS instead of in-app content”. Register for the Anti-Death Penalty Alternative Spring break by clicking here. It is March 14-18, 2011. Guest speakers include six innocent, exonerated people who spent more than 50 years on death row for crimes they did not commit: Anthony Graves, Clarence Brandley, Shujaa Graham, Ron Keine, Gary Drinkard and Albert Burrell. Anthony Graves is the most recent innocent person released from Texas Death Row. He spent 18 years on death row before he was released in October 2010. All events are free and open to the public, both students and non-students. The first two days will be held on the campus of The University of Texas at Austin in a room to be announced. The second two days will be held at the Texas Capitol. The full schedule and a registration form is on the website: www.springbreakalternative.org/deathpenalty.